The smart ones: one-person librarians in Ireland and continuing professional development. The importance of meaning is at the centre of this research project. The purpose of it is to investigate one-person librarians' opinions on continuing professional development as stated in their own words and reflecting their own experience of phenomena, thus engaging in an empirical approach. Phenomenography takes this ‘second-order perspective’ investigating underlying ways of experiencing the world, phenomena and situations (Marton and Booth 1997). The project is also informed by the tradition of evidence-based librarianship, which has been described as '... a means to improve the profession of librarianship by asking questions as well as finding, critically appraising and incorporating research evidence from library science (and other disciplines) into daily practice. It also involves encouraging librarians to conduct high quality qualitative and quantitative research.' (Crumley and Koufogiannakis 2002: 62). These will be pilot tested in order to exclude any ambiguities of wording, to gain confidence as an interviewer and to ensure that the recording equipment is in working order. The pilot interviews will not form part of the final set of interviews to be analysed. work experience in one-person librarians. Additionally, sets of interviews with librarianship and information science course providers in Ireland and some experts from outside Ireland will be conducted in order to understand their experiences and make recommendations for improvement. Usually, more than one researcher analyses the interviews, with others playing 'devil's advocate' when checking on interpretive rigour, but there have been studies were a lone researcher successfully analysed a phenomenography study, particularly in PhD projects (e.g. Åkerlind 2005, whose doctoral supervisors fulfilled that role). So far, an extended literature review has been conducted. It focused on other studies on continuing professional development for librarians in general and some key texts on continuing professional development for one-person librarians in other countries. Many other professions have already acknowledged the need for continuing professional development and have developed models of the continuing professional development process, e.g., nurses and therapists. 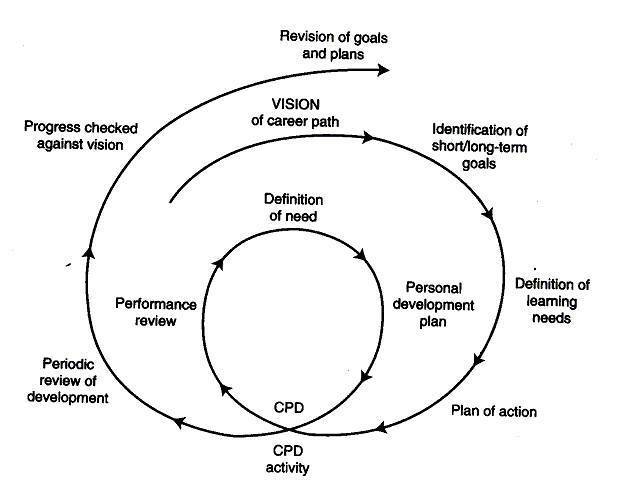 Figure 1: The continuing professional development cycle (taken from Alsop 2000: 7). It is hoped that one outcome of this study would be recommendations for a national framework for continuing professional development for one-person librarians. Åkerlind, G. (2005). Phenomenographic methods: A case illustration. In J. A. Bowden and P. Green (eds), Doing Developmental Phenomenography (pp. 103-127). (Qualitative Research Methods). Melbourne: RMIT University Press. Alsop, A. (2000). Continuing Professional Development: a guide for therapists. Oxford: Blackwell. An Chomhairle Leabharlanna/The Library Council (1999). Joining Forces: Delivering Libraries & Information Services in the Information Age. Dublin: The Library Council. Marton, F. and Booth, S. (1997). Learning and Awareness. New York, N. J.: Lawrence Erlbaum Associates.